Hi everyone sorry if I scared you, I know it's not 4th January but I decided to make a card for the latest challenge over at Less is More which I haven't participated in for a while. The theme is FAMILY and as I couldn't find anything suitable in my stamps I made a card using Craft Artist. This is really clever Val. it's a great image! 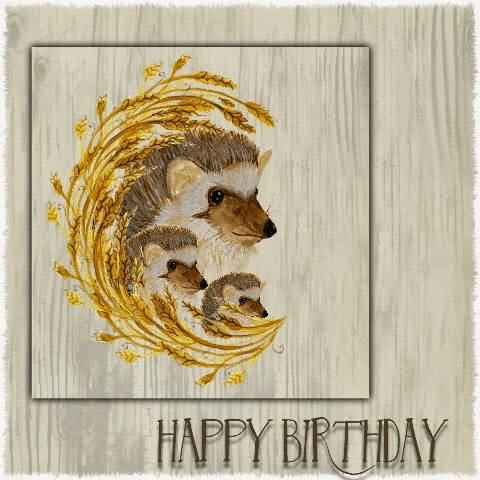 Love it Val.......Mrs Tiggywinkle and her family - so cute! An adorable image, and a fantastic card. Darling image and love how it looks together with the wood grain background! That's a really cute family Val, lovely card.